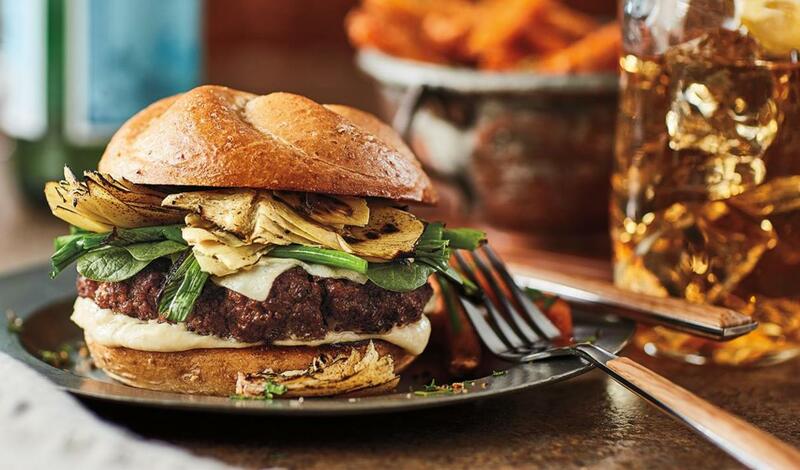 A classic beef patty topped with grilled artichokes and green onions, Dijon mayonnaise, Pecorino cheese and baby spinach on a Kaiser roll. Spread Dijon Mayonnaise on roll. Add the patty with melted cheese. Add the baby spinach, green onions and artichoke hearts.